A guide to the different types of houses in France. For those unfamiliar with the language but interested in renting a French house or taking a step onto the property market, understanding what certain terms mean can become confusing for some buyers. This guide will focus on the main types of property in France and how their appearance is defined. It will also concentrate initially on villas and the choices you have when coming to rent or buy. Whichever location appeals most to you, there are types of property and villas to suit everyone. The French refer to villas designed from the mid 20th century onwards as architect’s villas. Their style, size and design can vary from property to property meaning the eclectic choice will cater the needs of various personal tastes. Contemporary villas can come in the form of smaller, one-storey attached houses and range up to large open buildings in sparse areas. If a certain area of France appeals to you, such as the vibrant capital Paris or more rural southern regions, then looking into which villas are available in that location is advisable. For example, if you enjoy water-based activities then look for villas with pools or those located close to rivers, lakes or beaches. The main reason for investing in a villa is to obtain a pleasant and relaxing residency to enjoy the delights of French scenery. Buying one is also a fantastic way to entertain a group of friends or relatives who choose to holiday in the country. A ‘bastide’ name derives from medieval towns which were fortified during the 13th and 14th century, mainly located in the Aquitaine and Midi-Pyrénées regions. However, the name spread to classify other stone-build, detached houses further afield. They have practical layouts, square features and almost flat roofs which made them easier to construct. Different forms of ‘bastides’ have archways located on the ground level, making it possible to build verandas and garages as well. A renowned example of a ‘bastide’ can be found in Villeneuve sur Lot, a town located in the southern Aquitaine region of France. Visitors will notice the Roman-grid arrangement of houses in the town which created an organised layout and helped officials collect taxes. A Charentaise property is a traditional French house similar to a bastide in the way they are stone-made, rectangular in shape and have a practical layout. They commonly have one or two floors, with chimneys located at either end of the building. Although Charentaise houses are predominantly constructed from basic stone and wood materials, this doesn’t mean to say they aren’t fitted with all the mod cons to make living as comfortable as possible. Their name originates from the region the houses were initially built, Charente, which is one of the sunniest areas in France and easily accessible from the UK. A domaine is best defined as a property, or group of properties, that include a large plot of land also. Similar to an estate in England, where a house and its outbuildings are surrounded by woods and fields, a domaine is favourable for outdoorsy people. Interests such as caring for orchids and vineyards to pursuing tennis and hunting are trademarks of domaine properties. Château’s are popular in France, ranging from very small dwellings to massive buildings with a whole host of rooms. The main selling point of a château is their cheap price to purchase, although some renovation and maintenance work can push the overall cost up. This is because they are generally very old buildings and the materials used to construct them need regular repairs. However, if properly looked after then a château can become a fantastic investment for many English buyers. They offer a beautiful interior design along with scenic views, all to be enjoyed in the pleasure of substantial gardens. Numerous trees and stone-made walls are also a symbol of a château’s outer lands. A fermette or longère is the equivalent of an English farmhouse, although they are usually much smaller in size. There are a number of these buildings dotted all over rural France, with similar stone features and a quaint design. Investing in a fermette will usually entitle you to the surrounding lands and other outbuildings linked to the property, such as barns and sheds. A Maison à colombages property is a timbered or wood-framed house. The framework is visibly made from strong wooden beams, often oak, with bricks and clay usually making up the rest of the building. They are common in villages and hamlets in rural French regions, notably Alsace, and some people compare them to English Tudor architecture. The Maison de maitre converts into English as “master’s house” and was constructed for wealthy businessmen or officials. It became a sign of prestige for the owner, displaying their status in the community. Their appearance is one of grandeur, with large windows and high ceilings. Maison de maitres will typically come with a well-designed garden and moderate plots of lands nearby. Detached homes in France are known as pavillons, often found in the north of the country. The term mostly commonly refers to properties built from the mid 20th century onwards. Their extended size allows many of them to be fitted with a cellar and garage on the ground floor. Modern bungalows are sometimes referred to as pavillons also. 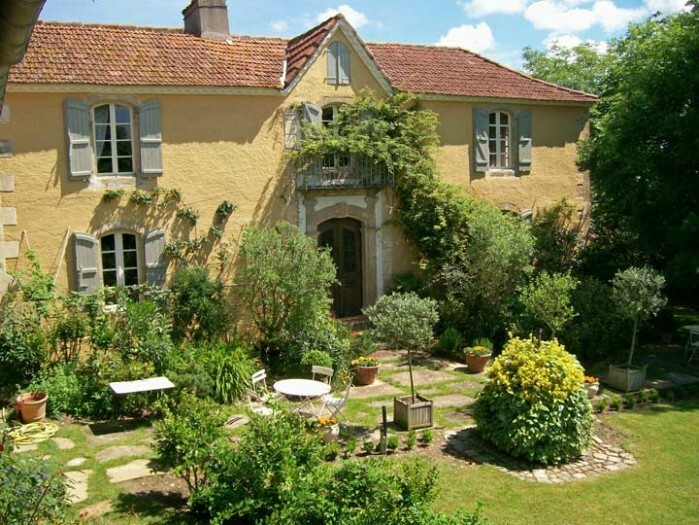 Overall, many English buyers look to the French property market due to the more appealing climate and the fact it isn’t too far away. Travelling to any part of France is generally very simple. House prices are also commonly much less than their English counterparts and the strict property laws protect buyer’s rights to a large extent.